Sounds on Centre is a free event, fun for the entire family. 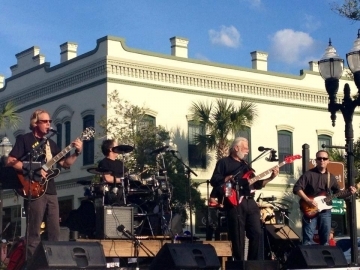 Concerts are on First Fridays from April through October, including a special Thursday event May 3rd – 7:30 pm following the Shrimp Festival Parade. Sounds on Centre is located at the intersection of Second Street and Centre Street in Historic Downtown Fernandina Beach on Amelia Island, Florida. Shows are 6:00 – 8:00 PM.